The Alliance of Catholic Health Care provides a statewide forum for Catholic health systems and 48 catholic and community-based hospitals’ leaders to collaborate on advocacy and ministry leadership formation. 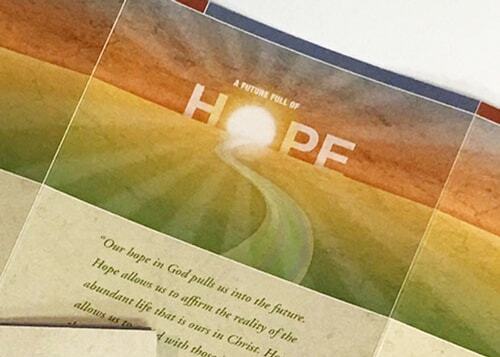 We began working together in the early 1980’s on newsletters and conference graphics. 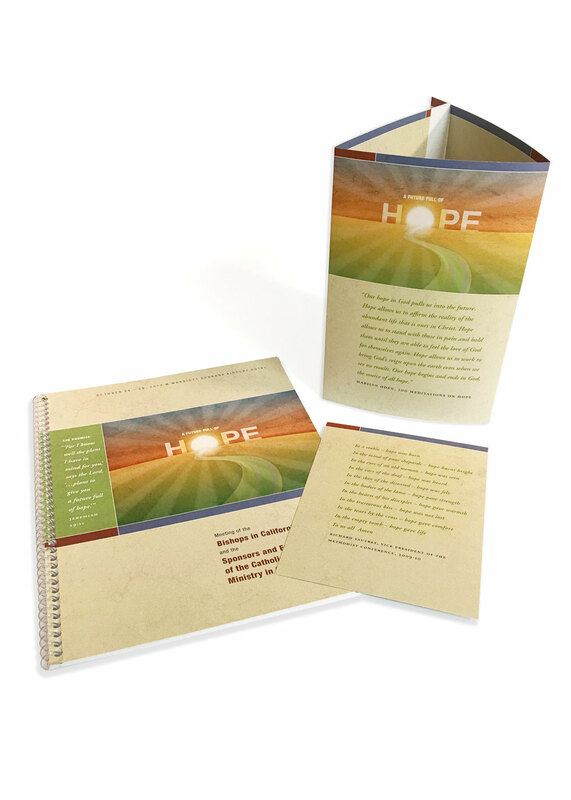 To reflect this mission, we developed a visual theme that harkened to a rising sun, and then applied that to the array of conference materials: registration brochure, program, event signage, nametags, and tabletop prayer cards. The conference was well attended, the graphics, well received, such that the image has become ‘the look’ for future conferences. Previously operating as CACH, the California Association of Catholic Hospitals, the organization made a shift to broaden its coalitions, and affiliation with the Washington DC based organization, Alliance of Catholic Health Care. 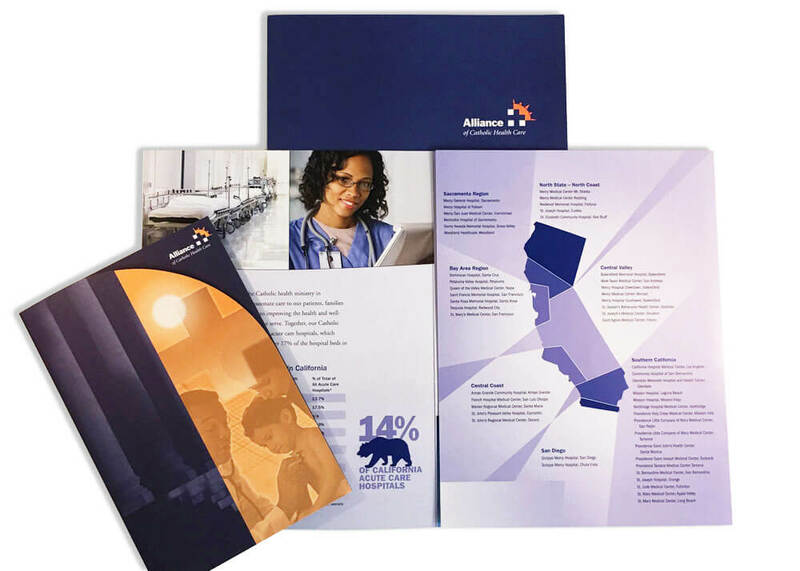 We developed a new logo, and all associated materials— letterhead, cards, folder and information brochure. 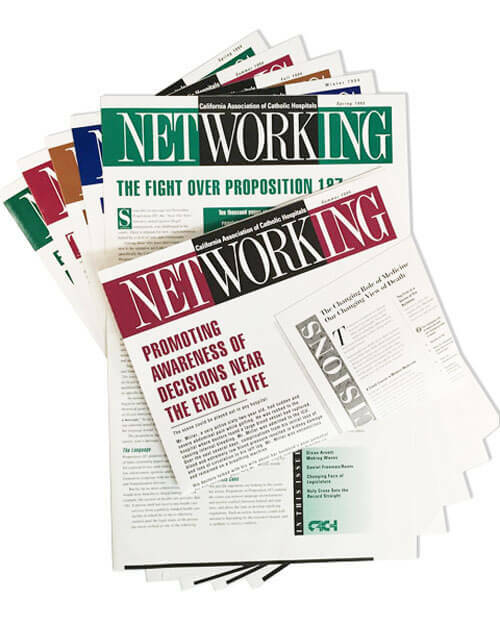 Launched in the days of typesetting and paste-up, these newsletters launched a multi-decade working relationship where our tools have shifted from waxed sheets of type to Creative Suite and digital printing.